Great news! 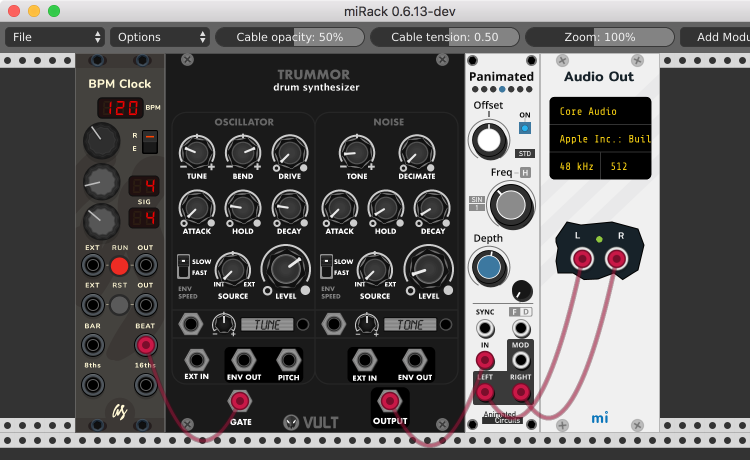 I've managed to implement loading of closed-source VCVRack plugins into miRack. This means it now makes sense to build packages for desktop operating systems. And soon you will be able to enjoy all the benefits of miRack, including lower CPU usage, more responsive UI and multithreaded processing - and still use all the same plugins you have, including commercial ones you purchased. Of course this does not affect miRack running on ARM boards - only open-source plugins can be used in that case because they need to be compiled for ARM in first place.